Major plans for a multi-million pound redevelopment of The Castle in Wellingborough have been revealed by theatre bosses. The plans could see the Castle Way site boasting a 500-seat main theatre with capacity to go up to 700 for music concerts, a 200-seat studio theatre, a 100-seat cinema screen, a 100-seat restaurant, two bars and an enhanced foyer and public spaces. The proposals, costing between £10 million and £12 million, would also see a creation centre offering three professional grade rehearsal spaces and space to build sets, a private function room, a business centre with meeting rooms and board room as well as a creative industry hub with office and studio space for start-up, emerging and established creative industry companies. The theatre’s car park would be retained, although it would be re-modelled. The theatre’s running costs have been subsidised by Wellingborough Council since it opened in 1995, but these plans have been drawn up because financial pressures facing the authority have made it difficult to sustain this approach. These plans by The Castle (Wellingborough) Ltd, the current contractors who run the theatre, mean they would no longer have to rely on the authority for funding, which was just short of £400,000 in 2010 but has fallen year on year and is now £218,000. Mr Walter said they have had to look at the whole business model to find a future for the building that doesn’t rely on council funding but would remain true to the theatre’s principals. Mr Walter was due to speak at a meeting of Wellingborough Council’s resources committee last night where members were asked to discuss a report which said a request had been made by The Castle (Wellingborough) Ltd for the council to consider the redevelopment plans. The report stated: “The Castle (Wellingborough) Ltd does, however, hold the view that if the council’s financial support decreases further the business cannot survive the whole period of the contract. Members were not being asked to agree to the redevelopment plans, but being asked to authorise an options and cost appraisal to ensure they are in a position to make the best decision for the borough, given the council’s current financial position. If they agree to look into the theatre being transferred as a community asset to The Castle (Wellingborough) Ltd and the proposals go on to get the necessary permission and funding, Mr Walter said the aim would be to have it built by 2018. Mr Walter said: “If we want to protect the cultural jewel in the town, we have got to do something. Every day that we leave it, it’s going to be harder to get it back. Mr Walter admitted that it was an ambitious plan, but said a centre for arts and culture needs to be aspirational and he is confident their plans can become a reality. He said they would be looking at applying for money from various sources, including from the Arts Council and the National Lottery, for the project. 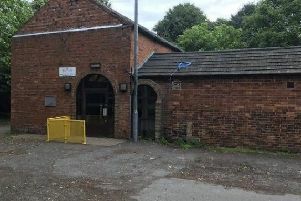 It is hoped the additions to the theatre, such as the cinema screen, restaurant and third theatre area, would provide increased revenue and he believes it would be an economic boost for the town. He said: “It would mean at least a 30 per cent increase in full-time equivalent staff and a 100 per cent increase in volunteering opportunities. If the redevelopment goes ahead, Mr Walter said the theatre would not close at any point during the work.